What’s a good birthday without a delicious birthday cake? Neopia has tons of cakes. Some of them are so decadent and extravagant to where you’d have to see them just to believe that they existed. Some are more tame, others are savoury, and others are, well, just weird. To celebrate Neopets’ birth month and its nineteenth birthday in the Month of Storing, we’ve decided to list ten cakes you could buy to commemorate the occasion. Even if you're celebrating a bit late, it's fine—it's the thought that counts. Additionally, these are cakes that you could just buy for your pet’s own birthday. Some of these aren’t specifically made for birthdays, but that’s okay—part of making a great birthday party is finding a cake that’s just right for you. Regardless, if you have a passion for delectable desserts, if you’re looking for a unique cake to buy, or if you’re just a cake enthusiast eager to hear more about cakes, we hope you’ll learn about at least one delicious—or maybe just interesting—new cake you can buy. So, we’ve divided the cakes we wanted to talk about in two sections: the first is a list of birthday cakes. Since this is the Month of Storing and the month of Neopets’ birthday, after all, we thought it might be good to cover some interesting birthday cakes that Neopia has that could be appropriate for the occasion. The second section is a list of cakes that aren’t specifically made for birthdays, but might be interesting to have for a birthday celebration. Everyone has different needs, after all, and we would be remiss if we didn’t include a couple cakes that aren’t at least a little unconventional. Whether it be your birthday or Neopets’ birthday, we want you to find a cake that’s right for you, and that may not always be a cake that’s strictly meant for birthdays, so we’d encourage you to think outside of the box when selecting a cake for yourself. One of the essential points about a birthday cake is that it shouldn’t only taste good, but it should also look good. The Neopets 12th Birthday Cake Slice is pretty, but also looks appetizing. It features generous amounts of yellow icing on top of a chocolate cake and a red star on top. It looks so nice that you almost want to display it in your gallery instead of eat it! It’s also pretty convenient: you don’t have an entire cake you have to eat; you just have a slice of one. It’s ideal for a birthday celebration because not only was it made for Neopets’ birthday itself, it also looks great. Plus, you don’t have to carry around an entire cake: it’s totally fine to just have individual slices for you and your friends! But there is a question one might ask with this item: why would you want to eat a slice of cake that’s seven years old? For our purposes, we’re going to assume that not every slice of this cake was made in Y12; instead, let’s just assume that the “12th Birthday” in the name is merely the year in which the cake was designed and bakers still continue to make fresh ones to this day. It’s a lot more appetizing if you think about it that way, and we’ll just assume the same thing for all cakes whose names or descriptions mention a specific year. If you’re looking for a more traditional birthday cake and not just a slice of cake, on the other hand, the Mini Chocolate Birthday Cake might be perfect for you and your birthday celebration! Everyone loves a delicious chocolate cake and, more, it’s topped with strawberries and has some delicious strawberry filling in its centre. Not only that, but it’s adorable and pretty small, too, so it’s perfect for a small little get-together if you just want to celebrate with a couple friends as opposed to feeding a large crowd. It’s also good if you want to celebrate your Neopet’s fourth birthday. Again, we’re going to assume that not every one of these cakes was made on Neopets’ 4th birthday—let’s just assume that bakers still make this recipe to this day. This is without a doubt the most mesmerizing cake in the galaxy, at least so far. And the taste? Out of this world. Okay, forgive us, but we had to indulge. Seriously, though, this is a gorgeous two-layer cake and an amazing way to celebrate a birthday! The flavour itself is a mystery, since we don’t actually get to see what a slice of the cake looks like, but, with icing as artful as this, you can only assume it’s divine. If you want one of the latest birthday cakes the site has to offer or really just a beautiful cake with an unpredictable taste, this might be good for you. A cupcake is also a viable option for a birthday if you’re not into huge celebrations, you can’t eat very much cake, or if you even just want to celebrate alone. Celebrating a birthday—whether it be yours, your Neopet’s, or the site’s—doesn’t have to be done with a lot of people. You don’t need extravagant festivities, massive cakes, or lots of friends to have a good time. That’s not to say that you can’t have those things with a cupcake, but it’s just to say that you shouldn’t feel bad if you don’t want to throw a big party, but still want to have a good time. If you don’t want to make much of a statement and want to celebrate quietly, a cupcake is perfect. Besides, there’s very little cleanup involved in having a birthday cupcake; you just throw the wrapper out and that’s it! And just remember: just because your cupcake is small doesn’t mean that it’s less sweet than a huge cake, and the same goes for your celebration. And now for an item that aggressively complicates the question of whether individual cake slices or an entire cake would be better for a birthday celebration. If you want to take hedonism, gluttony, and gourmandise to the next level, you should strongly consider getting a Giant Slice of Neopets Birthday Cake to celebrate Neopets’ birthday. The name of the item, along with its image, speak for themselves: it looks like it could almost be a whole cake in itself, but no, it’s only a slice! Who knows what enormous cake it must have come from? If your guests are gluttons and they can handle eating more than your average Neopet, this is a great cake to have for a birthday celebration. There’s a ton of it and it’s also pretty cheap: you can buy a slice for under a thousand Neopoints in user shops. It looks great, too: with a delicious-looking blue frosting and a pink and yellowish cake, there’s something here for everyone to love. It’s a classic birthday cake, just bigger than you’d ever imagine. If you can get over that, there’s no reason not to buy it! Have you ever had a food dream? If you’ve ever dreamt of cakes, this is probably the one you’ve thought of. There’s something impossibly tantalizing about it. The combination of strawberry, vanilla, and chocolate is definitely one dreams are made of. And there’s nothing better than wish fulfillment for your birthday: what better way to celebrate than getting (literally) the slice of cake you always wanted? Imagine: you’re celebrating with your closest friends in your beautiful Neohome with the perfect cake. They sing to you, you blow out the candle, and you dig into your cake, and it’s just as good as you imagined. And you’re happier than you would be if every birthday party you’ve ever had happened all at once. If that sounds appealing to you, you might want this cake! Again, it both looks and tastes amazing, and you can’t have too much of it, either—the fact that you can only have one slice of it at a time means it’s easy to practice portion control. They say you can never have too much of a good thing, but if you eat too much of this cake, are you still going to want it as badly as you do right now? Well, to be honest, not all cakes are sweet. Some can be savoury! If your Neopet is trying to eat a healthy cake packed with protein, this might be the option for you. Additionally, it’s great for Neopets who don’t care for sweets and it’s a bit ambiguous whether it’s meant to be dinner or dessert, so you can have it as both. And, honestly, isn’t that the dream when it comes to having cake? Is it good for a birthday celebration, though? That’s another question entirely. If your pet is really serious about bulking up, even during a birthday party, the Meaty Potato Grarrl Cake could be a good alternative to your usual cake. However, be forewarned if you serve this at a party: most Neopians, when they come for cake, generally expect something sweet, not a massive pile of potatoes and meat, so you may catch your guests off guard or, at worst, disappoint them. It’s a great birthday cake for a group of Grarrls, however, so if you plan to throw a birthday party in Tyrannia, a place that seems heavily populated with the species, that’s something to be mindful of. Into birthday cake but not into the sweetness? No trouble! If you’re looking for a more healthy alternative, this, along with the Meaty Potato Grarrl Cake, are solid alternatives to your usual birthday cake. Enjoy generous helpings of cabbage on top of a green cabbage-flavoured cake with cabbage icing! Doesn’t that sound delicious? Or at least healthy? Well, yes, it’s a bit strange, but don’t knock it before you try it! Again, while most Neopians typically enjoy a sweeter cake, this might be good for a celebration if you’re on a diet. As a warning, we wouldn’t recommend feeding this to your vegetable Chias; we don’t think they’d appreciate it. Also in contrast to the Meaty Potato Grarrl Cake is the Chokato Deluxe Aisha Cake. If you’re looking for that sweet yet savoury Chokato flavour, this is definitely the cake for you! It’s absolutely covered in delicious Chokato-flavoured frosting. In addition, the ring of icing in between the first and second layers of the cake is covered in delicious strawberries, making it the perfect sweet treat for a birthday celebration. Do note, however, that the Chokato Deluxe Aisha Cake is a high-end gourmet item and its price reflects that; you should probably expect to pay well over two million Neopoints for this item. However, if you’re willing to pay the price, you’ll have an amazing cake to show for it. Plus, if you’re buying this as a birthday cake for your Aisha, it will be eternally grateful to you. Everyone will know that you’re willing to spend top dollar on your Neopets, too, and isn’t that a good reputation to have? Borovan’s weird: you can make a Cup of Hot Borovan by mixing together Asparagus and A Cup of Hot Chocolate at the Cooking Pot, and we trust we don’t need to explain why asparagus and hot cocoa is a weird combination. Weirder still is making an entire cake out of something like this, but it exists and it’s here for the borovan enthusiast that might also be interested in baked goods. While this is probably a niche market, it’s clear that making Borovan Layered Cakes is a pastime taken very seriously in Neopia: the cake’s description itself reads, “Artistically decorated by the finest chefs in Neopia, each cake is a masterpiece in its own right.” There’s a certain artisanship to the practice of making these cakes, so there’s no question of quality: if you like borovan, this might be the cake for you. Why would this be good for a birthday celebration, though, especially one centered on Neopets’ birthday? Good question. 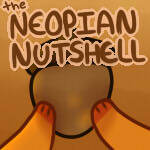 Borovan, since the site’s inception, has been a famous (and sometimes vaunted) Neopian recipe. It’s a drink that’s very dear to Neopia’s history, and it’s pretty tasty, too; it combines the warmth and the mild sweetness of hot chocolate with the earthiness and the slight bitterness of asparagus. It’s a strange combination, but it’s decent if you give it a try and, if you’re willing to do so, I think you’ll be pleasantly surprised. A Borovan Layered Cake, even if it’s not very festive, could be good for an adventurous Neopet willing to taste something a bit out of the ordinary. It’d also be a perfect cake to eat if you want to celebrate Neopets’ birthday, given how many borovan-themed items there are on the site and how underappreciated the beverage is. Amid all this talk of borovan, strange cakes, worrying about guests, and the size of your cake, there’s so much to think about when planning a birthday celebration. But there’s one question in particular that’s important: what should you feel during a birthday party? Regardless of whether you’re celebrating your own birthday, another Neopian’s birthday, or Neopets’ birthday itself, the obvious things are happiness and excitement for the moment. Also, maybe a certain gratitude that your life led you to meet the people you’re celebrating with and to experience the memories you’ve shared with them. But there’s also this anticipation and a quiet optimism about the future. Additionally, there’s an expectation that there will be many more years to look forward to and they will hold moments that just as nice as this one, if not nicer. In spite of the difficulties and challenges the future poses, there’s also something to long for in it, even if it’s only an ephemeral moment like another birthday celebration in the future. A cake’s an important part of birthday festivities, so it’s important that you get the right one for you and your companions. We hope we’ve shown you a couple of appealing and diverse cakes Neopia has to offer should you want to celebrate Neopia’s birthday. So while you gather your friends and eat your cake together, remember to enjoy the moment, but also try to look forward to the many great ones ahead of you. Happy birthday, Neopets, and here’s to many more great years—and great cakes! It always seems like you can't get those pesky petpetpets to do what you want them to do!